A Touch of Greatness: A History of Tennessee State University is the first book covering the narrative history of the institution from 1909 to the present. TSU is one of America's Historically Black Colleges and Universities. 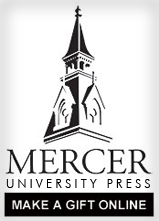 African Americans in Georgia: A Reflection of Politics and Policy in the New South provides an understanding of the intersection of race and region while addressing contemporary issues such as the future of elementary and higher education, the nature of health- care disparities, and voting and representation. What was Martin Luther King, Jr.'s understanding of the State? In this provocative and challenging work, Michael G. Long addresses this very basic but overlooked aspect of King's thought. In King's vision there are three important elements of his view of the State. Finally, in one-volume, this narrative provides a comprehensive history of America’s Historically Black Colleges and Universities (HBCU’s). The book concludes that race, the Civil Rights movements, and black and white philanthropy had much affect on the development of these minority institutions. This narrative provides a comprehensive history of America’s Historically Black Colleges and Universities (HBCUs). The book concludes that race, the Civil Rights movements, and black and white philanthropy had much affect on the development of these minority institutions. Northern white philanthropy had much to do with the start and maintenance of the nation’s HBCUs from 1837 into the 1940s. Even from 1950 to 1970, HBCUs depended upon financial support of philanthropic groups, benevolent societies, and federal and state government agencies, but the survival of HBCUs became dependent mostly on their own creative responses to the changing environment of higher education and have helped to shape our culture and society. ANDREW YOUNG AND THE MAKING OF MODERN ATLANTA tells the story of the decisions that shaped Atlanta’s growth from a small, provincial Deep South city to an international metropolis impacting and influencing global affairs. When Mayor William Hartsfield coined the term “City too Busy to Hate” in the 1950s, who would have imagined that within fifty years Atlanta would have the world’s busiest airport, rank as the eighth largest metropolitan area in the United States or, that this once racially-segregated city would host the Centennial Olympic Games and play host to the world in 1996? Atlanta provides a unique case study for an alternative vision of the relationships among leaders in corporations, government, and communities. The book tracks the development of the Atlanta Way, a strategy for economic development that features cross-racial cooperation—from the foundation in Reconstruction era Atlanta to the Olympic Games. The essays in BETWEEN FETTERS AND FREEDOM explore a number of issues bearing on post-Civil War African American Baptists. With limited resources at their disposal, precisely what did freedom mean? Would African American Baptist organizations be recognized as legitimate by white peer organizations? What sort of internal stress would African American organizations face as they gained traction in the black community, and what sort of stress would a rapidly changing culture place on those organizations and the people who made them what they were? Through it all, preachers and lay people alike wondered how their voices would be heard above the din. Study of black Baptists and their attempts to Christianize Africa.